Have you ever driven (or walked across) North Columbia Boulevard in Portland? If you have, then you know how scary it can be. The street is infamous for awful car crashes and pedestrians getting hit by cars. Just this past November, an accident occurred there that involved three vehicles and resulted in multiple critical injuries. And, back in August of 2016, a deadly crash occurred there as well. A student from Roosevelt High School attempted to cross the street and was struck by a car. The accident was fatal. However, Portland residents can feel relieved because changes are coming soon to the dangerous street! Since the deadly accident, the state has been formulating plans and working with the community on the project. How are they going to do it? The Portland City Council has plans to accept a grant for $1.5 million from the State. The goal? To make the much-needed changes to North Columbia Boulevard. Specifically, between North Bank Street and North Macrum Avenue. And, the Portland Bureau of Transportation (PBOT) already designated $650,000 for the project. The team hopes to begin in the fall of this year. 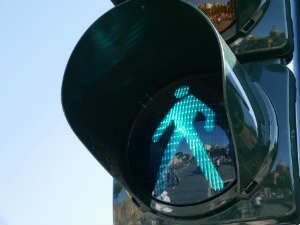 They plan to put in a crosswalk, equipped with flashing lights, near the intersection of North Bank Street and North Columbia Boulevard. Additionally, as the PBOT explains, the majority of drivers from Columbia turn left onto Midway Street. So, by getting rid of the left turn from Columbia to Midway and Oregonian, cars will have to use the existing traffic signal at Macrum. Hopefully, less accidents occur this way. Safety is the number one priority for the project – to avoid fatal accidents (or any accidents). Hopefully, the plan succeeds. What do you think of the plans for North Columbia Boulevard?